Welcome to another DronesWorld review, today we bring you something new and different, an innovate drone, the GPToys H20 Review. Rainy days will no longer stop you from flying your quadcopter. GPToys has produced this”hybrid” drone is able to both fly and swim. If you are one of those enthusiasts afraid to let your quadcopter fall into a lake, river or even puddle, I have good news for you! GPToys H20 has waterproof function, meaning it is capable of withstanding fair amounts of water. And if you think the waterproof function reduces its flying capabilities you are wrong. The H20 has a very decent hover considering its price and it’s easy to manoeuvre, even for beginners. So follow us as we review this GPToys product which will surely appeal to many drone fans. How Does GPToys H20 Waterproof Drone Perform In Air? H20 is a great flyer, very stable and easy to maneuver. It has 4 yaw rate modes, you can expect a reasonable fast flyer in its maximum yaw rate. If I had to compare H20 with another quad it would be FY326, both great beginner quadcopters, fast, durable and very cheap. Although GPToys H20 has a better resistance to wind compared to the FY326. 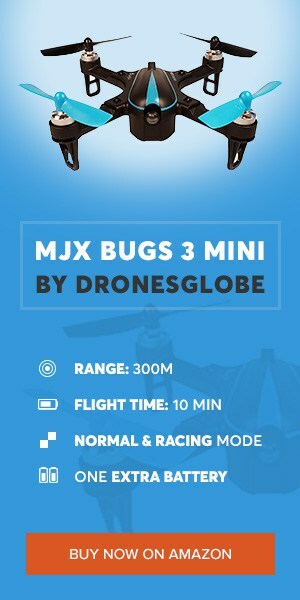 It flies up to 80 meters and 100 meters in distance, which is better than the Syma X5C1 and the DM007, quadcopters ranging between the same prices has the H20. How Does GPToys H2o Perform With Water? This is the big question since this is the X Factor which makes this quad stand out from others. It performs great, it has been tested (watch videos below). Able to fly in the rain, even during a medium storm it will keep on flying. It can land on water and resume its flight on it. Great for pools, beaches, lakes and countries where it rains a lot. Bottom all, a great buy if you are going on vacation, or even if the rain in your country prevents you from flying other quads often. Bare in mind it can only be submersed on 2 to 7 meters of water (as advertised) but I would not advise this. Its fine for you to sink him a little bit, but it is not a submarine. An implemented security system will make the quad to turn off by itself when too much water is detected. GPToys H20 is one (if not the most) affordable waterproof quadcopter available in the market. Therefore if this is the feature you have been looking for it doesn’t get cheaper than this. Order your unit and enjoy H20 at the nearest lake or pool near you! Yes you read it all. It has a fun auto-pilot system. With the push of a button on its remote, you can for 40 seconds record a flight routine into the quad’s memory. After, by turning on cruise function, the H20 will perform they recorded routine by itself without you controlling it. Right, left, go high, low, do some air rings, this amazing and fun function will memorize what you have done and do it automatically. How great is that for a 40$ quadcopter? But once again, bare in mind it is not an auto-pilot mode as high-cost quadcopters where the quad can fly itself for half a hour around a city. Yet, amazingly fun, a great extra feature along with the waterproof function. Besides the already mentioned cruise function, GPToys H20 also features more common features (nowadays) such as Headless Mode for easier orientation despite drone’s front position and the 360’ aerial stunt for fun acrobatics. It also includes LED lights which allow pilots to perform night flights. GPToys H20 is a great drone for the all family since the Headless Mode facilitates the control to even the most of beginners. If you are looking a great and affordable drone to take to the park, beach or even the pool GPToys H20 is your baby. It is also important to mention the amazing durability of GPToys H20, besides the already discussed waterproof function, GPToys H20 also comes with propellers guards (which may bend fairly easily) and the landing gear which is much more resistant and strong than the propellers guards and will ensure your drone’s safety in case of crash. On top of all this H20 also has very decent specifications capable of competing with same budget Toy Grade drones. First of all the 2.4 GHz controller remote allows a control distance of up to 100 meters as previously mentioned. Secondly the battery powers up to 10 minutes of flight time, slightly above the average flight time for same price quadcopters. Charging time is very short, therefore you haven’t a problem quickly charging your H20 for the next flight you wish to perform. Are you interested in waterproof RC products? Do you wish to take your drone into the water but your budget is short? Don’t worry, GPToys H20 is available in the market and it might just be the best fit for your needs. Do you own one? Are you considering buying one? Let us know on the comment section below, we at DronesWorld want to know your opinion on this matter. Do you have a friend looking for a waterproof drone at a very affordable price? Share this review with them and let them know GPToys H20 exists and it’s a great and viable option!